What happens to people who reject God? For He is the very moral underpinning of a civil society. 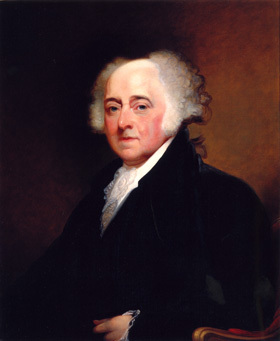 Without Him, the republic cannot subsist any length of time. First of all, they begin to scoff at God, and start following their own evil desires. Writing almost two thousand years ago, the Apostle Peter accurately predicted that people living near the end of Earth’s history would deliberately–willfully–forget about God. Nowhere is this more evident than in modern society’s failure to recognize that everything was created by the word of God. That He literally spoke it all into existence. As the Apostle Paul writes, the rejection of God is the beginning of futile thinking. That those who reject God are willfully ignorant. This rejection of God runs so deeply in our society today that those who still believe God are called “willfully ignorant”. I find that interesting, in light of what God says about those who have rejected Him. For the most part, people who are willfully ignorant of God and reject His ownership of all things do not believe that they will be accountable for their actions before Him. They go through life, putting themselves ahead of others–“looking out for number one”. Many believe that humans are the result of chance, random processes and thus not accountable to any moral standard but their own (or one that society imposes upon them). Once the truth has been rejected, what is substituted? Man’s ideas. Man’s morality. Moral relativism. What can come from the heart of man? Many would argue that people who reject God do good things. But are they good people? Jesus answered this question Himself. According to God, it is those who refuse to acknowledge Him who are “deliberately forgetful”. We must pray for such people, asking God to turn their minds to His word, and ultimately turn their hearts to Him. Next month, we’ll look at some extreme examples of people whose actions indicate that God abandoned them to defective thinking. excellent and thought provoking post! I so crave wisdom and insight and that is one of the reasons I appreciate your posts a great deal; they are thoughtful and thought-provoking! I appreciate the base of Scripture as well! 🙂 Thank you! Awesome!! Very thought provoking, I love it!! !